The successful operation by U.S. special forces Sunday killing Osama bin Laden is "a strategic blow to al-Qaida," counter terror advisor John Brennan told reporters Monday afternoon. It creates a "better opportunity to destroy it" by creating internal divisions. But the death of the world's most wanted terrorist does not end the terrorist threat against the United States and other western nations. As we reported earlier, the Department of Homeland Security is advising government agencies to be on high alert for possible reprisal attacks. CIA Director Leon Panetta said "terrorists almost certainly will attempt to avenge him, and we must—and will—remain vigilant and resolute," ABC News reports. "But we have struck a heavy blow against the enemy." That threat could come from "lone wolf" terrorists as much as from al-Qaida followers. In recent years, bin Laden has been viewed more as an iconic figure for al-Qaida rather than the controlling hand he enjoyed before the 9/11 attacks. The group has split into smaller, autonomous cells and networks, and its ubiquitous Internet presence reaches an untold number of potential new recruits. "Decapitating the movement will not undermine it; the al-Qaeda affiliates and the singletons will still pose threats," former interim CIA Director John McLaughlin told the Washington Post. "But much of the inspirational power of the al-Qaeda center will diminish." For more on al-Qaida's future after bin Laden, and what his death means in the fight against terror, click here. The killing of al-Qaida leader Osama bin Laden by U.S. forces in the military city of Abottabad, 35 miles north Pakistan's capital, marks a new low in U.S.-Pakistani relations. The FBI's Most Wanted Terrorist was hunted down by American Navy Seals - not in a remote cave in Pakistan's rugged tribal areas along the border with Afghanistan - but in a suburban city just an hour's drive from Islamabad that is home to the a Pakistani military base and the prestigious Kakul military academy. "We shared our intelligence on this bin Laden compound with no other country, including Pakistan," a senior administration official said in a briefing early Monday morning. Although the civilian government led by Pakistani Prime Minister Yusuf Gilani hailed the bin Laden killing as a "great victory," the Pakistani military has remained predictably silent. Reports have also emerged alleging the million dollar compound where bin Laden was killed to be a safe house for Pakistan's spy agency, the ISI. For months, top U.S. officials have accused Pakistan's military establishment, including its spy agency, the ISI, of harboring terrorist leaders in Pakistan. Secretary of State Hillary Clinton, for instance, has alleged that some government officials have been implicit in sheltering bin Laden and Taliban leader Mullah Omar. "I am not saying they are the highest level…but I believe somewhere in this government are people who know where Osama bin Laden and al-Qaida and where Mullah Omar and the leadership of the Taliban are," Clinton said a year ago. During a recent trip to Pakistan, Admiral Mike Mullen, the chairman of the Joint Chiefs of Staff, accused the Pakistani military of sheltering the Haqqani network. "It's fairly well known that the ISI has a longstanding relationship with the Haqqani network," Mullen told the Pakistani newspaper Dawn. "Haqqani is supporting, funding, training fighters that are killing Americans and killing coalition partners….So that's at the core—it's the only thing—but that's at the core that I think is the most difficult part of the relationship." The Haqqani network is a faction of the Taliban operating out of the lawless belt between Pakistan and Afghanistan has been at the forefront of the insurgency against U.S.-led NATO forces in Afghanistan. In addition, several recent reports tied the ISI to jihadi groups in Pakistan, including the Lashkar-e-Tayyiba (LeT). Documents made public in July last year by WikiLeaks.org reveal the intelligence agency's links to terrorist groups fighting U.S.-led coalition forces in Afghanistan. More recent disclosures show the U.S. placed the ISI on a list of terrorist organizations due to the Haqqani network links. A report released early last year by the London School of Economics details connections between the ISI and Afghan insurgents and how the ISI is working to undermine U.S. and NATO forces in Afghanistan. A United Nations report corroborates ISI's support for jihadist groups in the region. Recent revelations by American Lashkar operative David Headley have also linked the ISI to the 2008 Mumbai terror attacks. Headley, who conducted reconnaissance on high-profile targets for the attacks on behalf of Lashkar, reportedly told a team of Indian investigators that the terrorist group worked hand-in-glove with rogue elements tied to Pakistan's intelligence agency. Since 9/11 most of the senior leaders of al-Qaida captured in Pakistan have been found hiding in leading Pakistani cities: Khalid Sheikh Mohammed in Rawalpindi, Ramsi bin Al-shib in Karachi, and Abu Zubaida in Faisalabad. For more on the ISI's involvement in terrorism, check out Sebastian Rotella's excellent reporting here. In the hours after the official announcement of Osama bin Laden's death, jihadi forums and extremist websites have been flooded with a mix of responses. Although some jihadists have welcomed the martyrdom of one of their greatest leaders, others have condemned America or appear to be in damage control mode. But the two groups split Monday on reactions to the U.S. assault in Pakistan that killed Osama bin Laden. Palestinian Authority spokesman Ghassan Khatib called bin Laden's death "good for the cause of peace worldwide" and criticized "the violent methods -- that were created and encouraged by bin Laden and others in the world." Hamas leader Ismail Haniyeh, on the other hand, had blame only for America. "We condemn the assassination and the killing of an Arab holy warrior," Haniyeh told reporters. "We regard this as a continuation of the American policy based on oppression and the shedding of Muslim and Arab blood." "It is time for Obama to pull out of Afghanistan and Iraq and end the occupation of U.S. and Western forces around the world that have for so long harmed Muslim countries," Essam al-Erian, a member of the Muslim Brotherhood's governing body, told Reuters. The Jerusalem Post's Khaled Abu Toameh reports that a second Hamas official, Ismail al-Ashqar, said his organization disagreed with bin Laden on some issues, but not all. 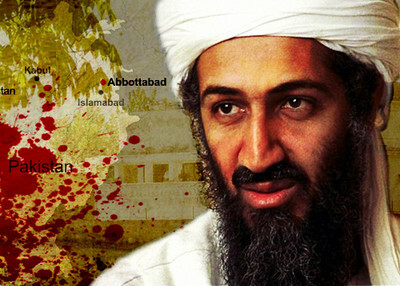 "We consider Osama bin Laden a modest man and a mujahed," Ashqar said. "He had billions of dollars and yet he give all that up and chose to fight alongside his Afghan brothers against the Soviet Union. He considered America as the enemy of Islam and Muslims because of the harm it did to Muslims."